I have brought buttermilk several times over the last month and have thrown it out unused, something I really don’t like doing. This time determined to use it before it expires, I found a great recipe in the Cooking Light Magazine (November 2008) for Vanilla Buttermilk Pound Cake. 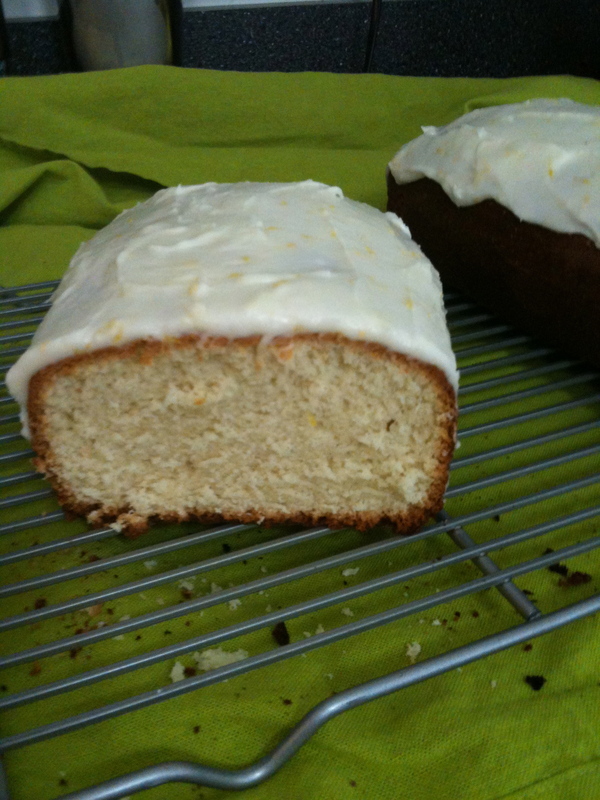 The recipe makes two 8×4 loafs, which I iced with a lemon icing. Next time though I would either make a plain butter sugar glaze with the vanilla buttermilk loaf, or switch out the vanilla in the loaf for lemon. Also in my oven, it did not require the full hour of baking. Place the first 4 ingredients in a medium sized bowl and whisk. Put aside. Place sugar and butter in a large bowl. Beat at medium speed until light and fluffy. Add eggs one at a time, beating well after each addition. Add the flour mixture and the buttermilk to the sugar mixture in stages, beginning and ending with flour. 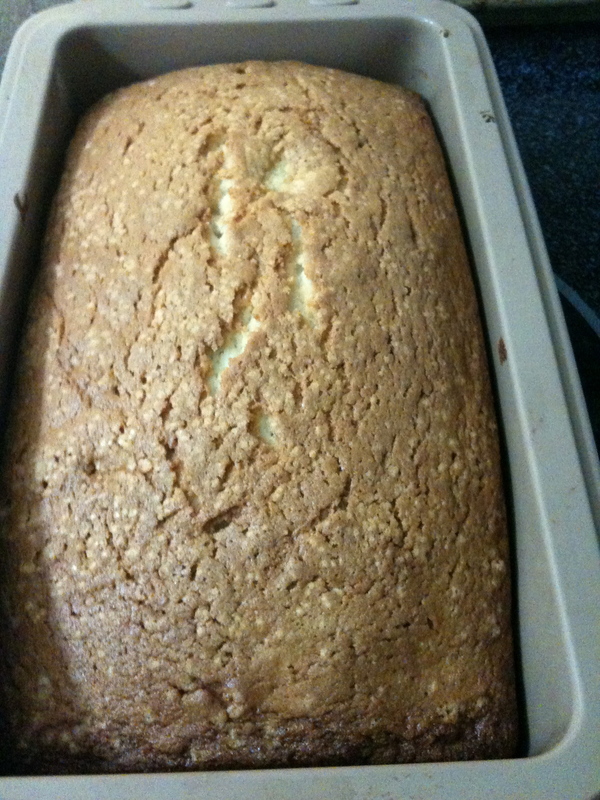 Spoon the mixture evenly into the two greased and lined loaf tins. Bake at 350 degrees F for 60 minutes or until a wooden pick inserted into the center comes out clean. Cool in pans for 10 minutes. Remove from tins. Cool completely on a wire rack. This entry was posted in Uncategorized and tagged baking, buttermilk, cakes, Cooking Light, cooking light magazine, dessert, food, Lemon butter icing, lemon icing, loaves, pound cake, recipe, recipes, sweets, vanilla on January 13, 2013 by mlwilkie. I bet it wouldn’t last 24 in my house! Thanks for sharing the recipe! Tasty! Seems like buttermilk has that fate 1/2 the time I buy it. But I really do love using it in baked goods like this! Hmm, that does look good. It reminds me of a blueberry buttermilk pancake recipe, I have that just use oats. I will have to try this.